STRATFORD, CONN. — Antiques dealer and auctioneer Roger Campbell passed away, Dec. 1, 2018. He was 80 years old. He was born Feb. 2, 1938, in Waterbury, Conn., the son of the late Frank and Mary Campbell. He served honorably in the United States Marine Corps and was a graduate of local schools. 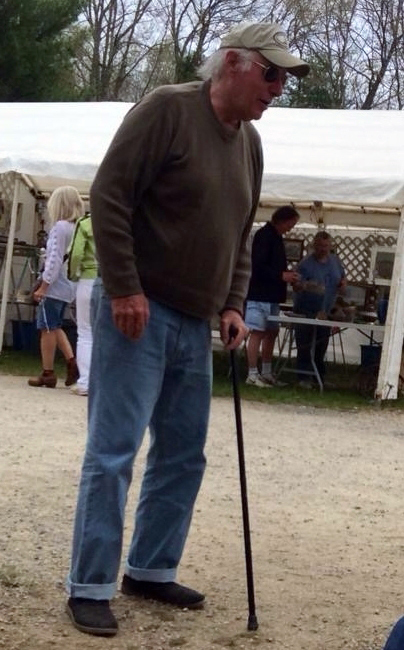 Roger ran his own antiques business out of Westport, Conn., Roger’s Country Auction. He was also involved in a number of other Connecticut and New York estate auction houses. Roger is survived by his sisters, Elizabeth DeAngelis and Ellen O’Neil; several nieces and nephews; and a multitude of cherished and wonderful friends and business associates. He was predeceased by a sister, Rosemary Lenhardt. In lieu of flowers, memorial contributions may be made to St Jude Children’s Research Hospital.